They're not there to shop, they're not there to work, they're just there! 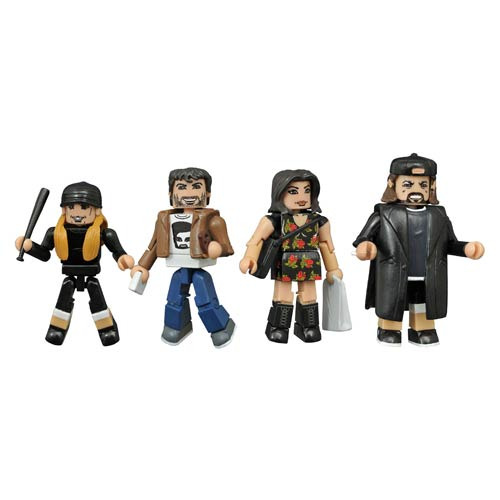 Celebrate 20 years of Mallrats with this Mallrats Minimates Series 1 Box Set, featuring characters from writer-director Kevin Smith's second movie! Jay, Silent Bob, Rene, and Brodie come together in this set, styled after their appearances in the film. Each 2-inch Minimates mini-figure features 14 points of articulation and fully interchangeable parts. Packaged on a full-color blister card. Ages 8 and up.